The “Burmese Daisy” ruby ring features a ruby from the home of the worlds most exceptional rubies, Burma. 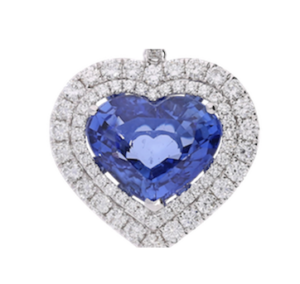 It stands at 3.81 carats and is framed by round-brilliant cut diamonds weighing 3.21 carats. The ring is set in 18k white and yellow gold. 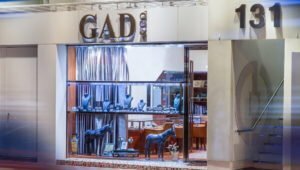 -The design, along with a few other treasures at Gad and Co, are inspired by flowers and rooted in nature. It embodies the essence of “Miracles of Nature.” The idea that such beauty can be found in the greatest depths of our Mother Earth is what inspires us at Gad & Co. to source only the most exceptional stones for our clients. -This ruby is unheated, which means it is free of the tampering and enhancement that is so prevalent in todays market. The color hue of the ruby is a strong purplish red and is truly a sight to behold, as not many rubies radiate this specific purplish red hue. 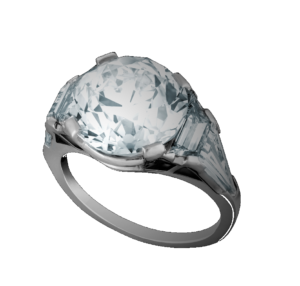 This ring is classified by the American Gemmological Lab (AGL) to be of “Burmese” origin and “unheated”.